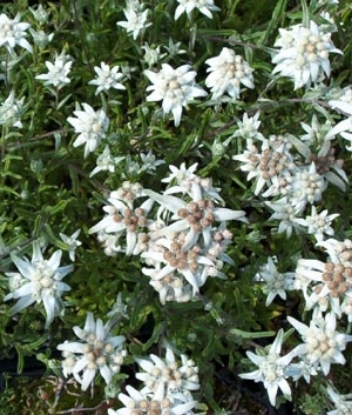 -More availble early May 2019- An impressive newer selection of the European Edelweiss, with extended bloom time and better longevity. 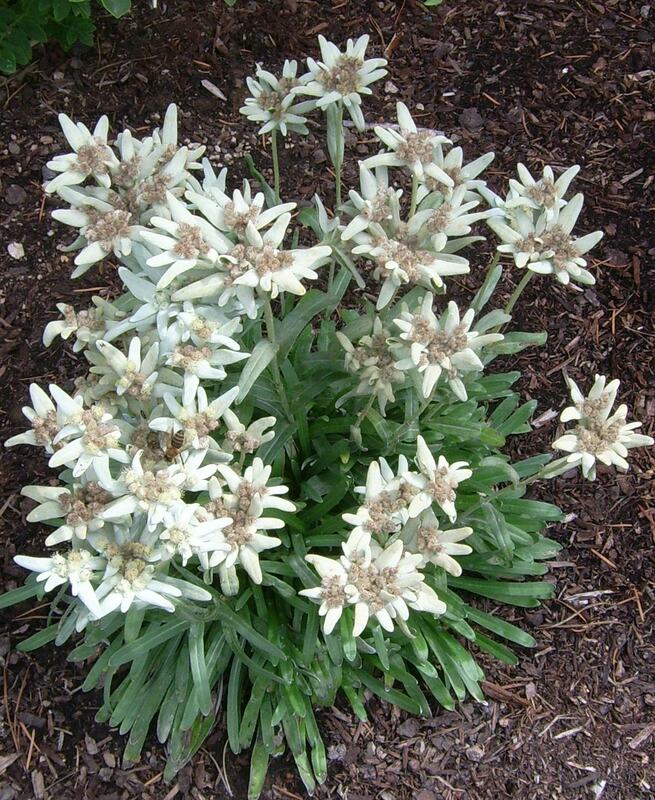 Whereas the regular Edelweiss vary in appearance, in 'Matterhorn' every plant is the same and has that classic look. 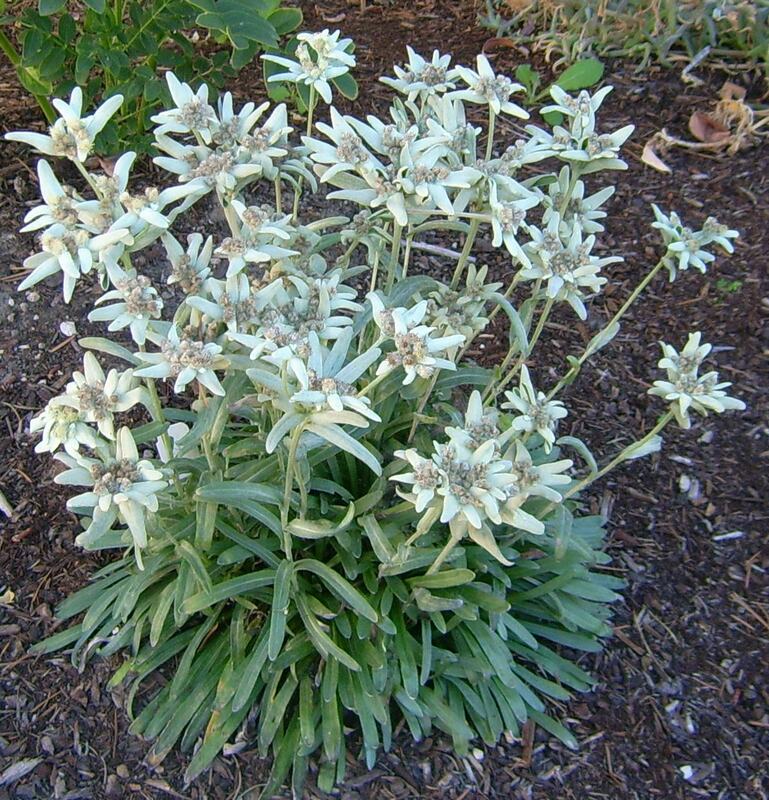 It blooms later, starting just about when the regular one is done, but keeps going for months. 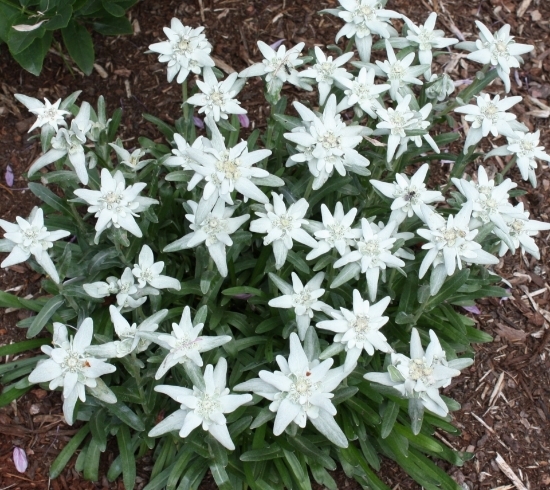 Not only do the same blooms last a long time but it re-blooms late summer and fall as well.‘Matterhorn’ can be grown more like other sun perennials and responds well to extra water and a bit more fertilizer than other Edelweiss. 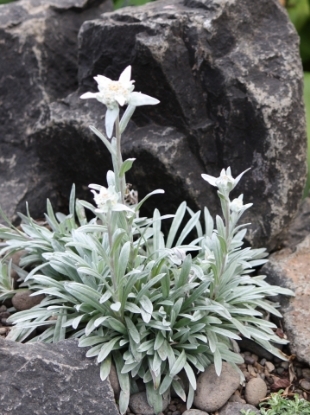 It has a strong root system and fills out 3 ½” pots fast. 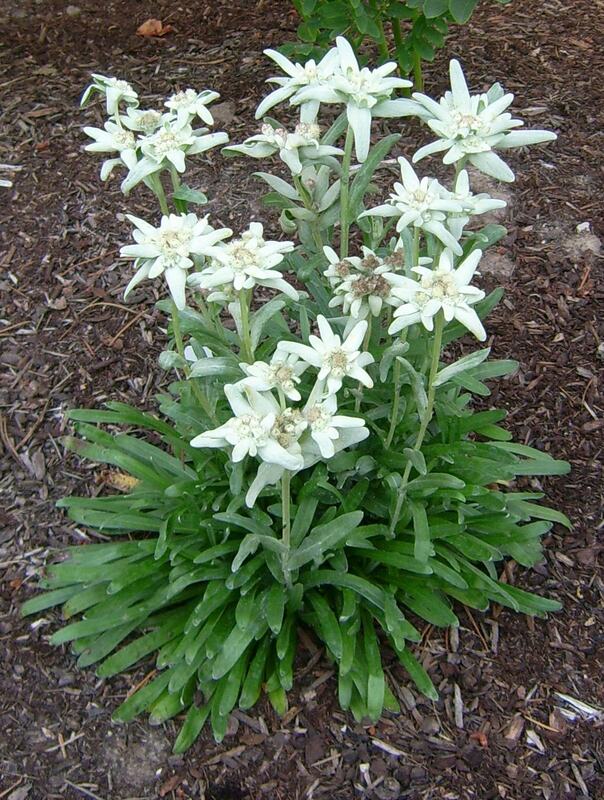 Before planting, make sure to pull some of the roots out (we use the anvil blade of an old pair of pruners) and after the initial soaking-in after planting, keep moist for several weeks. 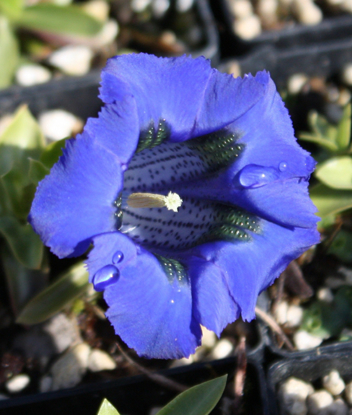 This will ensure the plant establishes well. 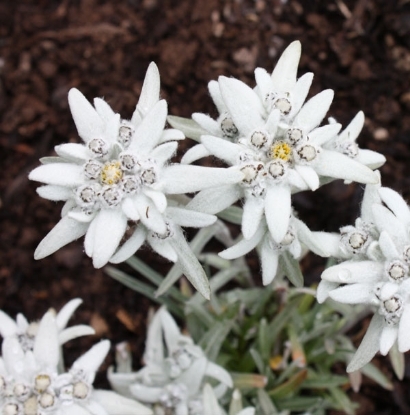 BEFORE ORDERING, PLEASE read very important information about growing Edelweiss on top of the Edelweiss main page.